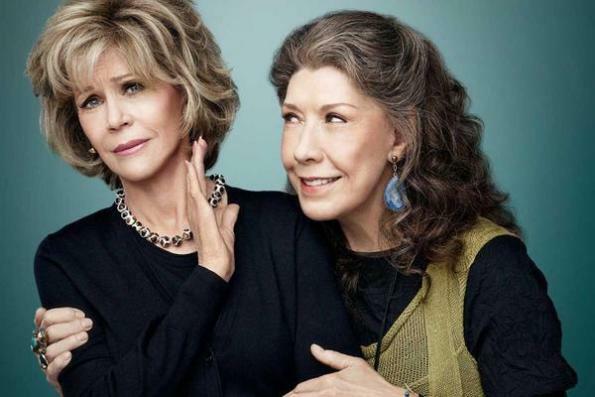 In the middle of a press conference for the Netflix comedy “Grace and Frankie” that wasn’t much funnier than the show itself, its actors began to say odd things. “Was that supposed to be funny” Lily Tomlin said. “Who gets 100 bucks?” Sam Waterston asked. “That doesn’t qualify as a laugh,” Tomlin shot back. “That’s just a chuckle. Okay,” Fonda allowed. If only they were paid on that basis for the show.